This detailed handbook by John Hooper and Percy Wells—the latter the head of the cabinet department at Shoreditch Technical Institution in London—was first published in 1908, and became known as the "cabinet maker's bible." 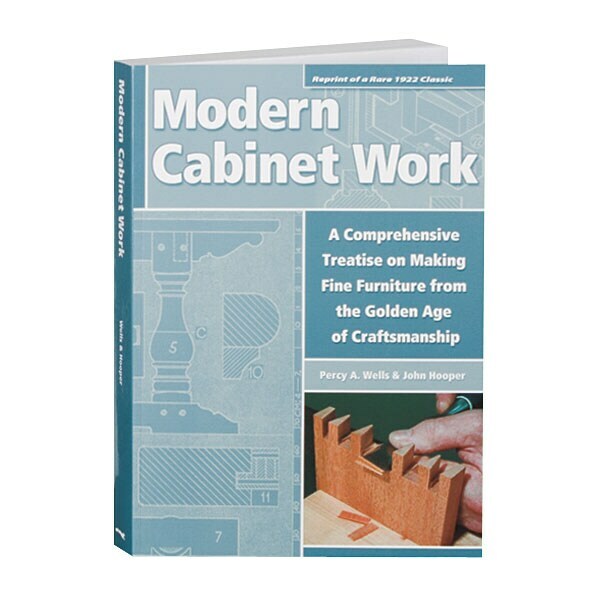 With more than 2,000 line drawings and black and white photos, it explains virtually every useful hand and machine technique and design detail useful to the small-shop woodworker, and provides complete shop drawings for dozens of exemplary furniture pieces and high-quality built-ins, drawn from all eras in furniture history. This facsimile edition is reprinted from the 1922 third edition.